Traid Remade and the top 10 ethical fashion brands online. On trend, ethical fashion is becoming more accessible, and a variety of online shops now offer sustainable clothing at affordable prices, without scrimping on style. Read on for the top 10 places to buy affordable, ethical fashion brands online. Traid Remade offer collections of recycled and affordable fashion, with the extra bonus of working with charity organisations; injecting money into education and helping to curb injustice in fashion industry. ASOS provide a large collection of sustainable brands such as Tatty Devine and Edun, all with an ‘ethical or eco-conscious story to tell’. ASOS’s own green collections include ASOS Africa, produced in Kenya in collaboration with fairtrade manufaturer SOKO, as well as the sustainable ASOS Reclaimed label, recycling fabrics and upcycling vintage pieces in East London factories. Shop ASOS Green room. 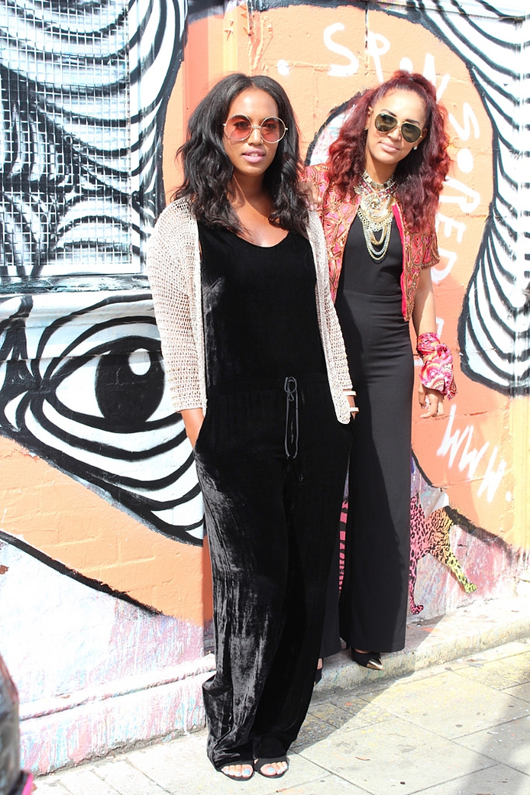 A great shop for on trend fashion with conscience. All items are clearly labelled with organic, locally produced, fairtrade or ethically sourced icons for transparent, sustainable shopping. Etsy are the biggest market place for handmade and vintage sellers. It’s like eBay but with all products handmade or over 10 years old. Great for sourcing unique, one-off outfits and accessories. Braintree offers feel-good fashion made from sustainable fabrics such as hemp, bamboo and organic cotton. Discover laid back styles, exceptional prints and a taste of Boho. Fashion Compassion is an ethical line sourced exclusively from brands that positively contribute to society, particularly those that empower women. The organisation ensures that they donate a portion of its revenues to charity. This is an online boutique comprising of affordable sustainable fashion by hip brands such as Kowtow, Lalesso and Feral Childe. Gather and See is one of the best platforms to enjoy on trend fashion with ethics. This is a classic yet stylish fashion line sourced from organic and biodynamic cotton, sustainably grown and fairly traded. The online market is owned by Elysia – Dr Hauschka’s parent company. At Charlie’s, there is an exclusive ‘ten item limit per design’ which includes UK made women’s wear as well as accessories made from ethical sources all using organic, fair trade or sustainable vintage fabrics. Adini sell classic British women’s wear, with a commitment to their ethical and environmentally friendly policies. There are many places online where you can purchase affordable, ethical fashion that will in one way or another contribute to ethical and sustainable living. Take your time to scrutinise the products and clothes you purchase to ensure you trade with reputable ventures that are serving you and the planet well. Sponsored post: Online catalogues stock a wide range of fashion and accessories from all sorts of brands and you can even choose to spread the cost on whatever you purchase. See here for more information on catalogues with pay monthly options. Whether they’re for sun bathing, driving, or hiding a hangover, sunglasses are a year round wardrobe staple; and we picked out our top four cult classic styles to see you through rain or shine. 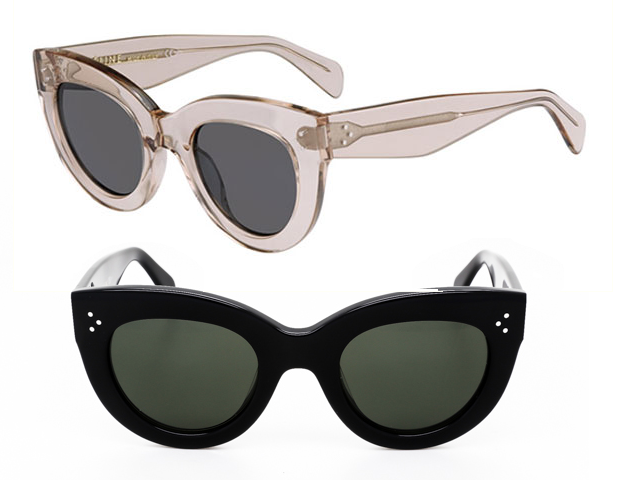 John Lennon may have brought international stardom to round spectacles, but London brand Cutler and Gross nailed the style with their signature double dot milling. For street style inspiration see Aldene Johnson’s Cutler & Gross glasses and Alejandra Trejo’s circular Tom Ford sunnies. Available in every colour combination imaginable, Ray-Ban’s most successful shaped sunglasses have enjoyed waves of popularity since the 1950’s. 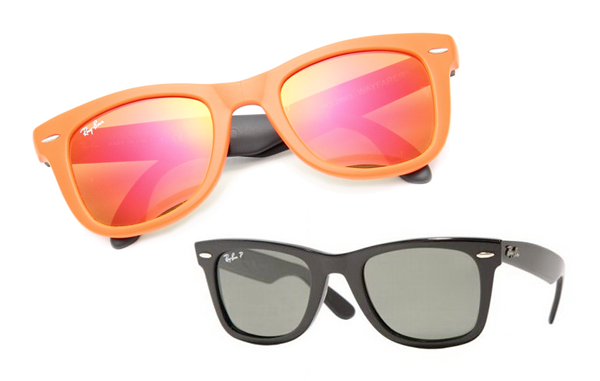 The Wayfarer style works with almost any outfit, smart or casual, and the frames are durable enough to survive many a festival mosh pit. See Oliver Cargill’s Ray-Ban street style. 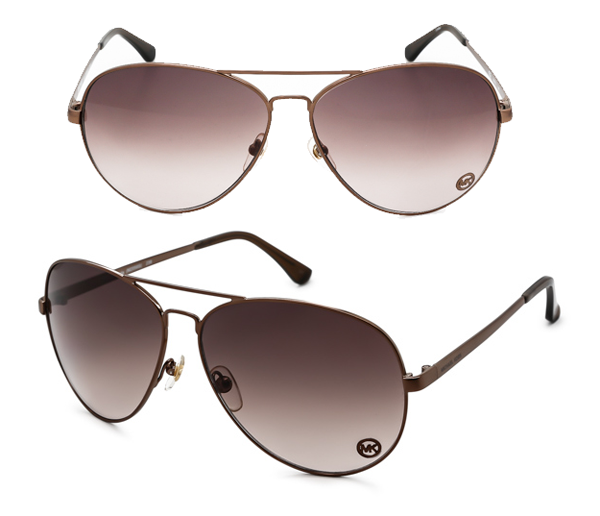 Other wise known as the pilot, Top Gun brought eternal frame fame to aviator shape sunglasses. Rather like an over sized shirt, they look better when you pinch them from your fella, but if none are available to pilfer Michael Kors do a great selection. See Nevean Morgan’s aviator street style in Oxford Circus. 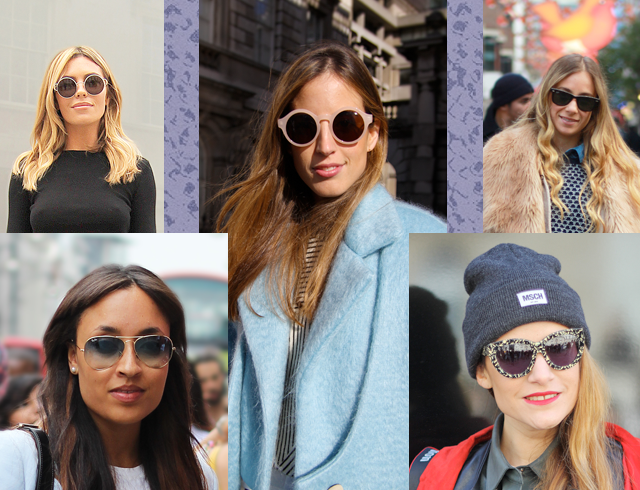 I spy with my little cats eye, a sunglasses trend to dress up the most average of outfits. Big enough to make a statement whilst hiding all manor of sins, these are a feline fashion essential. 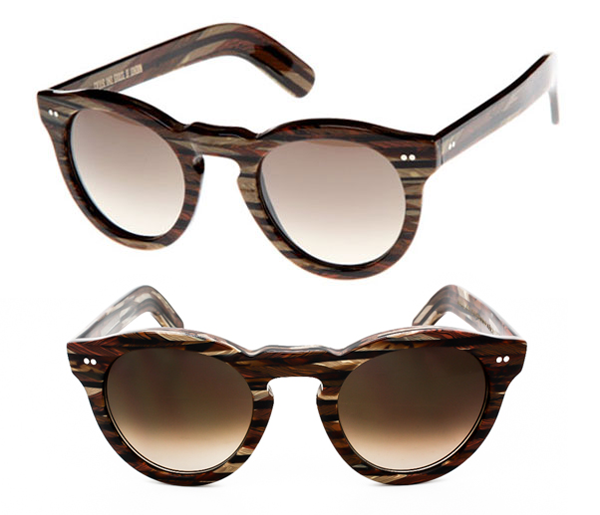 Celine do chunky cats eye frames best, and their Caty style pictured is available in Summer time hues of rose through to Autumnal tortoise shell. 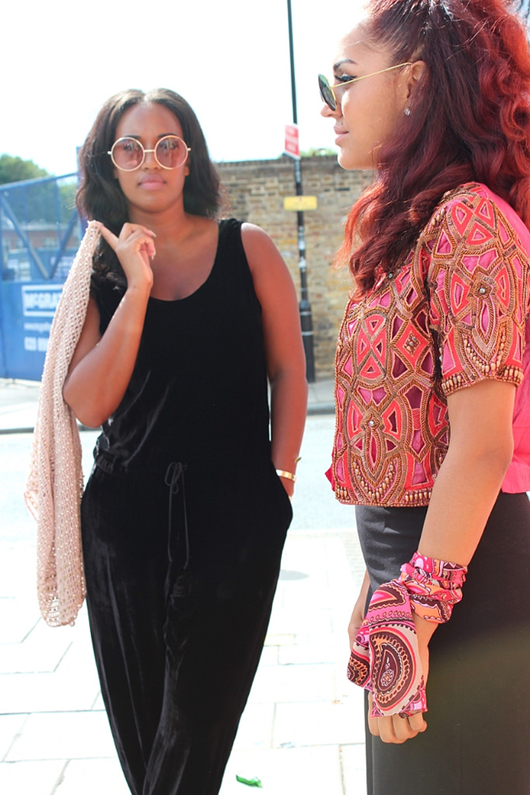 For street style inspiration see Julia Lawton in West London. For one of the best selections of designer sunglasses online in the UK, see Smart Buy Glasses. Hello. We’re Chan and Dan from 2 Mates and a Blog and we have the absolute honour of guest blogging for Nicely Turned Out this week. With this in mind it was imperative for us to pull out all the stops and to hold back nothing. It was show time. We are both great fans of Nicely Turned Out for a couple of solid reasons, such as the quality of content as well as the quality of design. 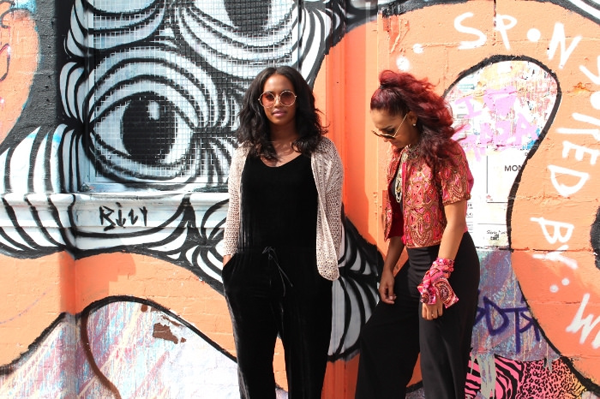 Oh, and not to mention the pretty spectacular street style they capture. Now, some of you might have seen our blog before but we’re guessing a vast majority of you haven’t. If there was one thing we would love to get across to all of the Nicely Turned Out readers with this one post, it would be that we love doing things big. We not only love getting our creative juices flowing by either enlisting our fun loving, quirky outfits on ourselves or others but we love to create storyboards and mood boards to explain our thought process behind each one of them. So here goes this weeks’ inspiration. 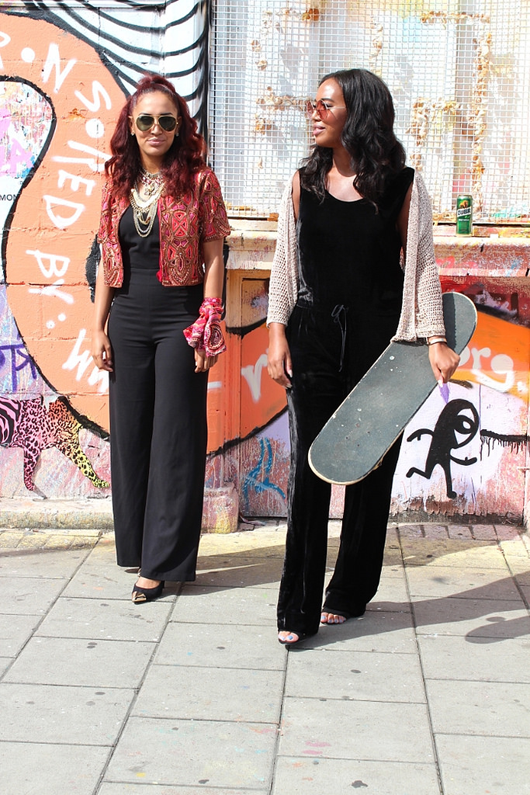 With one of the AW14 biggest trends taking over the world it seems, we opted to express our 70’s flare. 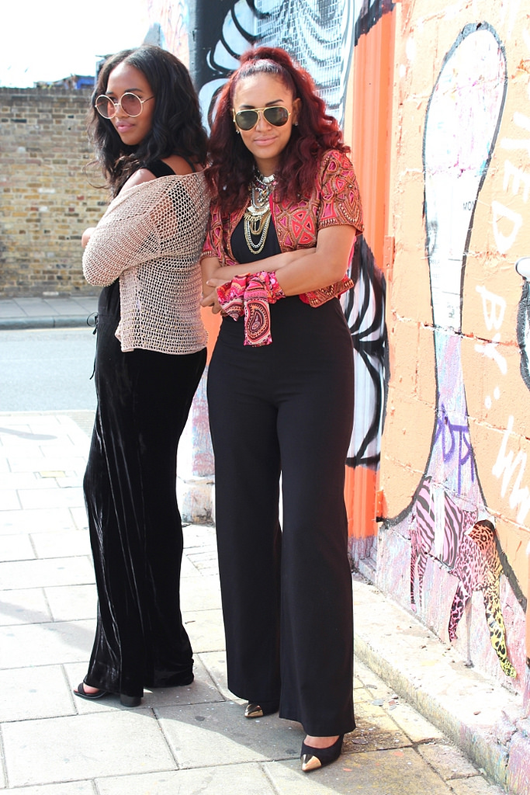 Baring in mind the uber cool prints, flares, wavy hair and bold block colours, we proceeded to embrace our inner hippy. 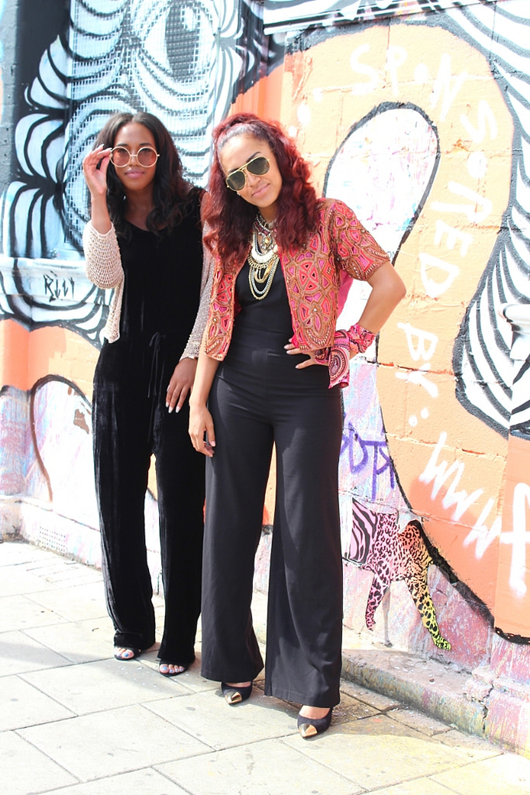 Chan enlisted the help from the classic cut out wide legged jumpsuit and a rather vibrant sequinned/ embellished jacket. To enhance the look that little bit further she added a heavily patterned scarf to her wrist. However to bring some of the 21st century back she chose gold toe tap pointed heels. Dan went for a rather chic black velvet jumpsuit with a gold netted cardigan. Her large round sunglasses gave her that 70’s edge along with her flowing wavy locks. What are your thoughts on the current trend? Is it a nay or yay for you? Will you be digging out your mums’ denim flares and wrapping a head scarf around your head like Rambo? bohemian and timeless gems to brighten up your wardrobe. After nearly a decade selling their great value, sought after garms in East London hotspots including Brick Lane and Netil Market, the local South West London ladies are delighted to launch a shop in London’s new favorite hang out, recently dubbed ‘Tooting is Rooting’, by The Evening Standard. The free event brings you a pandora’s box of clothes, accessories, art and furnishings from around the Globe, featuring sellers Gypsy East, Genski Art and Mini Ink London. Shout Hair offers you a vintage hair and make up bar, Serendipity Tea Rooms will serve cakes and you’ll find Gorringes finest drinks and food on the menu. A bohemian traveling boutique bought to you by Kelly Tison to flower your wardrobe. The pop up shop also sells unique vintage and upcycled pieces online on ASOS, Etsy, eBay and Depop. Shop here. Step into Lauren Gallagher’s wardrobe full of classic vintage pieces and accessories for all occasions. Translating London looks throughout the ages with a twist of the cosmos. See more. American Vintage do sustainable fashion with their Supina Cotton basics range. [dropcap]I[/dropcap]n 2005 the basics were reinvented. Mickael Azoulay was determined to renew the lost interest in vests and t-shirts, organising a team of designers together and creating modern versions of basics using new materials and skillful blends of natural fibres in a stunning range of colours.. and with that American Vintage was born. So what is the secret to these super soft and beautiful clothes? American Vintage uses Supima cotton. Supima cotton accounts for only about three percent of the annual cotton production in the United States – with its fineness and longer staple lengths making it a premium cotton fibre. It has superior strength compared to a product made of upland cotton or Pima blended cotton but remains incredibly soft. Also Supima is a non-profit organization (The Board of Directors being composed of Pima cotton growers). What’s more is that one of Supima’s important aims is sustainability. This means that not only is the cotton organic but both a short-term and long-term view is addressed: considering environmental protection and conservation as well as social responsibility. Of course, cotton can generally be viewed as sustainable as it has been grown and used to clothe us for over 7000 years. However, in addition, cotton is a biodegradable fibre and don’t forget – cotton sequesters carbon. If you don’t know what sequester means (don’t worry, neither did I!) basically an annual cotton crop has the same beneficial impact as removing 7.25 millions passenger vehicles from the roads… not bad! Therefore not only are American Vintage basics ridiculously soft, of the best quality and look amazing – you can wear your 100% cotton American Vintage vests, t-shirts and cardigans with pride, knowing that you not only look great but are also supporting an ethical company with a fashion conscience. Old is gold young sparrows, and Joyce Carpati & co are about to show you why..
[dropcap]O[/dropcap]ld is gold young sparrows, and Joyce Carpati, Ilona Royce Smithkin and co are about to show you why. 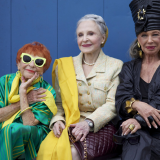 Advanced Style the movie is based on Ari Seth Cohen’s famed blog of the same name, painting intimate and colourful portraits of independent, stylish women aged 62 to 95 who are challenging conventional ideas about beauty, ageing, and Western’s culture’s increasing obsession with youth. 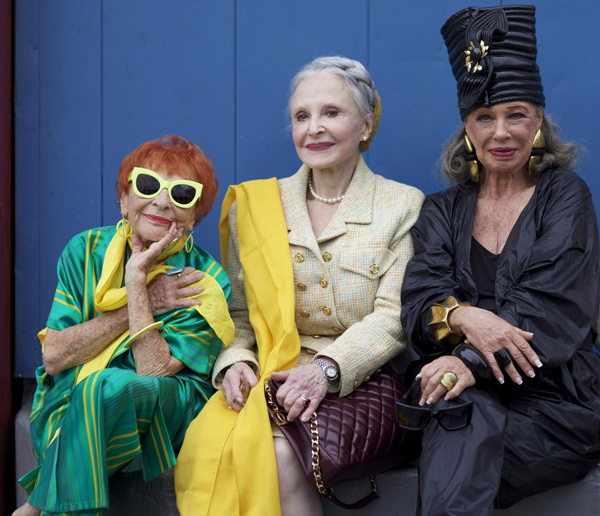 Advanced Style launches in London cinemas this week and is showing across the UK until June, get tickets here and see trailer below. The film is also available on DVD from the filmmakers Dogwoof. [dropcap]G[/dropcap]iving you a first look at the new season of MONA Swims from East London based duo Sophia Heffer and Carla Johnson; set to be the go to swimwear label for 2014. MONA is back by popular demand after selling out the entire stock of their debut collection. Now launching their SS14 range and their own online store, the pair have continued to produce sophisticated swimwear and leggings of a high standard, all cut and made entirely in the UK. Every detail of the AELLAI collection (meaning whirlwind), is inspired by wild nature and rugged sea coves, folklore and mythology, the result being a dark twist in bikini’s, swimming costumes and their signature Sea Legs leggings. The flattering high-waisted briefs, halter necks and structured bustiers mix bold reptile prints with breath taking colour pallets, designed to enhance each individuals unique beauty. Each piece has it’s own one off placement on MONA’s original print designs, so no two pieces are the same. MONA was born in 2012 after fashion hair stylist and colour expert Sophia joined forces with award-winning textile artist and silk matrix Carla. Both Sophia and Carla have combined their careers with global travel and cultural exploration, and after meeting in Ibiza in 2005, friendship and creativity blossomed. They both yearned for on trend swimwear that would create the perfect hourglass silhouette on the varied body shapes of themselves and their friends, making the wearer feel like a ‘Sea Goddess’. A quick scan of the MONA Instagram feed (pictured below), shows they’ve achieved their goal. The Mona creations have been featured in Glamour magazine and style spotted on ladies in Ibiza hot spots and at various festivals including The Burning Man in Nevada Desert. Imagery from MONA’s lookbook, shot in Norway by photographer Roger Renburg on Vogue model Preeti Dhata. The shoot was a meeting of creatives including Holly Silius; make up artist and creator of exciting new nail trends, rust and corrosion inspired jewellery designer Jayne Fowler, Hackney born trend setter and stylist to the stars Issie gibbons, and of course the MONA team. Shop Mona Swims here.